Good morning. It's Monday, Feb. 4. • A pack of rare gray wolves mysteriously vanishes. • Dozens of C.H.P. officers are accused of overtime fraud. • And abundant rain raises the prospect of a superbloom. 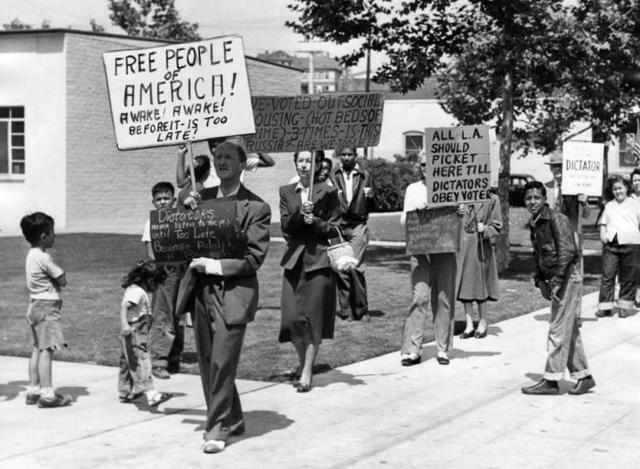 People marched against the building of a public housing project in Los Angeles in 1952. In 1950, Californians added a provision in the state Constitution — known as Article 34 — that required voter approval before public housing could be built in a community. It was intended to give taxpayers more say, but it also appealed to racist fears about integration. Still on the books, it's the only provision of its kind in the country. Now a new effort aims to repeal Article 34. "It's a white supremacist chapter in the state's history," Los Angeles' mayor said. For decades, California has led the fight against tailpipe pollution, spending billions of dollars and adopting policies to promote cleaner technologies. Yet the pollution is going up, not down — thanks in part to lengthening commutes and a culture of driving alone. "The strategies that we've used up until now just haven't been effective," said a state regulator. 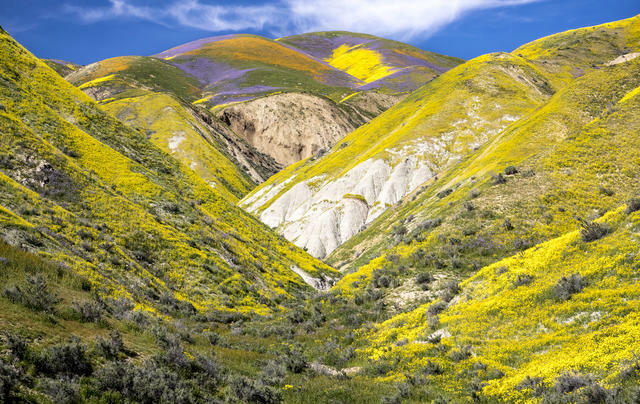 A superbloom in 2017 turned Carrizo Plain National Monument into a riot of colors. 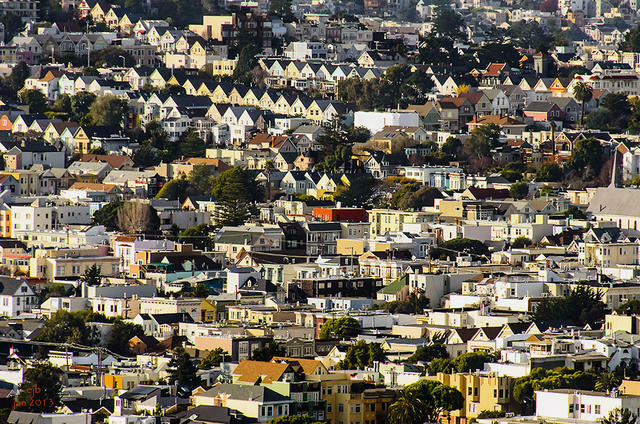 Housing in San Francisco, one of America's most expensive places to live. Bay Area families aren't just getting crushed by housing costs. The median cost of child care has risen 40 percent in four years to more than $1,500 a month. Add that to the median rent and families are spending at least $50,000 a year for housing and child care. For a typical family, that's most of their post-tax income. Catharine Baker was the only Republican representing the Bay Area in either the Legislature or Congress. Then she lost in November. “Ninety percent of the feedback we received was, 'I can't vote for you because you're Republican,'" she said. "That message to Republicans is, 'Your brand is toxic in this state.' That’s why the party has a very faint pulse right now." 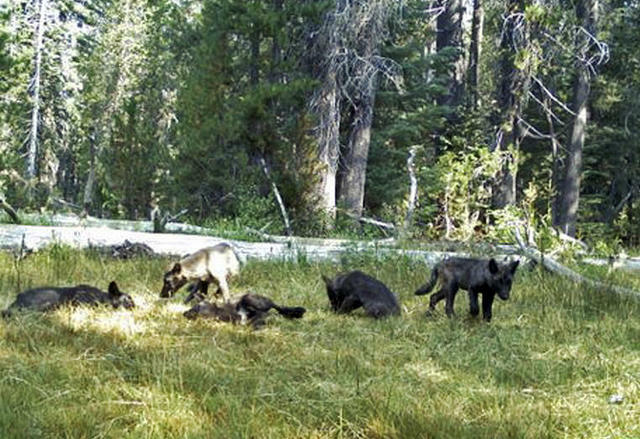 The Shasta Pack was captured by a trail camera in Siskiyou County in 2015. About four years ago, a pair of gray wolves in Northern California had a litter of five pups. Animal advocates were delighted by what was dubbed the Shasta Pack, the first wolf pack to make the state home in nearly a century. Then, all but one of wolves vanished without a trace within a few weeks of a standoff with ranchers. Did someone kill the Shasta Pack? "When a pack just totally vaporizes, I would be suspect," a biologist said. "Something happened." 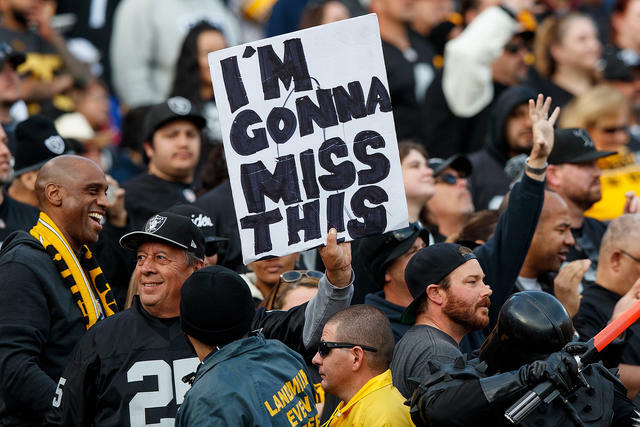 A Raiders fan shared his feelings about the team's relocation. The Oakland Raiders have reportedly agreed to play in San Francisco — for a season at least. An NBC Bay Area reporter broke the news on Twitter late Sunday that the team would play the 2019 season at Oracle Park, current home of the San Francisco Giants, before relocating to Las Vegas in 2020. The city of Oakland has filed an antitrust lawsuit against the Raiders over its move to Nevada. A Bay Area restaurant owner had a change of heart after tweeting that he would refuse service to people wearing "Make America Great Again" hats. "MAGA hats are like white hoods except stupider because you can see exactly who is wearing them," J. Kenji López-Alt wrote in one post. That resulted in a flurry of angry replies and headlines. Now he's apologized, saying all are welcome. 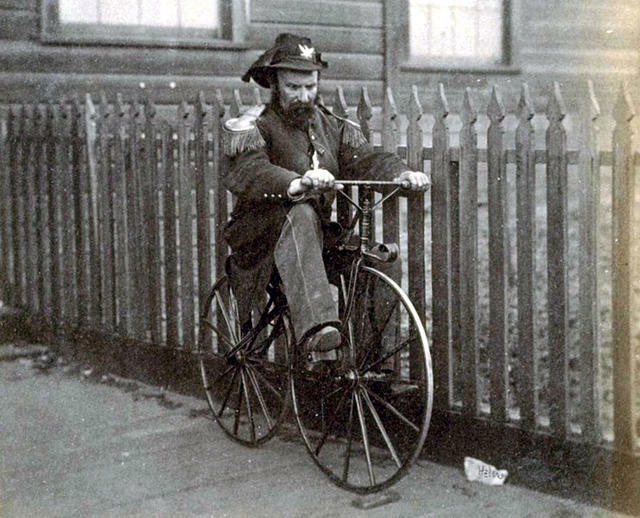 Norton riding a bike in an undated image. People say America has no royalty. But they overlook Norton I, Emperor of the United States, Protector of Mexico, and one of San Francisco's most renowned oddballs. Born on this day in 1818, the Gold Rush-era merchant declared himself the nation's ruler after falling on hard times. Tickled, San Franciscans played along. Army officers gave him a uniform with gold-plated epaulets, and theaters reserved seats for him. Upon Norton's death on a rainy day in 1880, the news was reported under the headline "Le Roi est Mort" ("The King is Dead"), and a grand civic funeral was held. Norton's subjects plan to toast the beloved king tonight at San Francisco's Comstock Saloon. The Rams' Jared Goff walked off the field after his team's loss to the Patriots in Atlanta on Sunday. By most accounts, the Super Bowl was a dud. 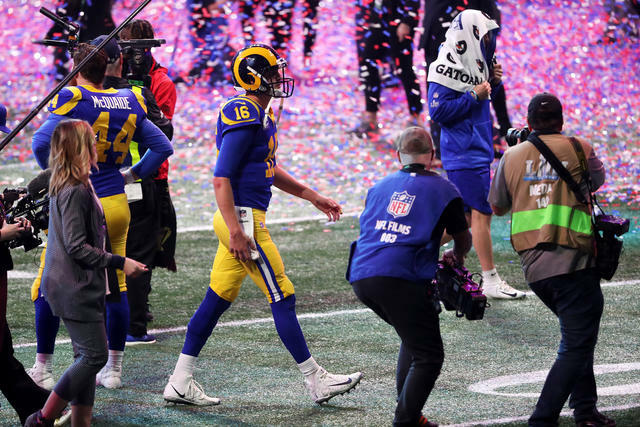 The Los Angeles Rams fell to the New England Patriots, 13-3, in the lowest-scoring Super Bowl ever. L.A. Times columnist Bill Plaschke said Rams quarterback Jared Goff, a 24-year-old native of Marin County, was outmatched by the Patriots' Tom Brady, a 41-year-old native of San Mateo County. "Brady was legendary," he wrote. "Goff was lost." Rihanna and Cardi B each turned down the Super Bowl halftime gig in solidarity with Colin Kaepernick, whose pregame protests got him exiled from the N.F.L. Los Angeles band Maroon 5 performed instead, and critics were unimpressed. They called the show "completely uneventful," "a harmless confection," and "designed to be forgotten." 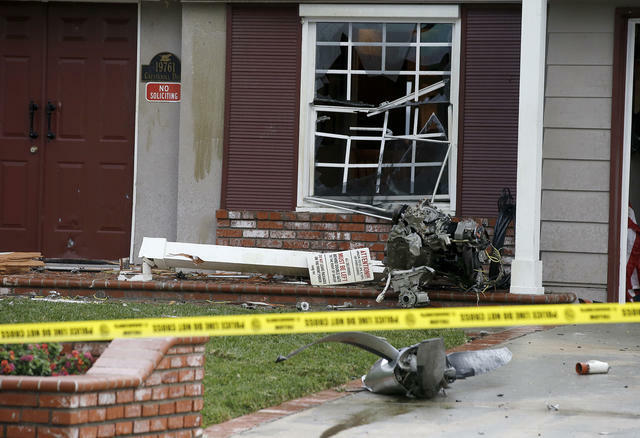 Parts of a small plane were strewn across a residential neighborhood of Yorba Linda on Sunday. "It felt like a bomb." A small plane slammed into a home in Yorba Linda, leaving the solo pilot and four people inside the house dead. Witnesses said they saw the plane coming apart in the air before crashing and creating a chaotic scene of strewn debris in the neighborhood. It was unclear what caused the crash. Dozens of California Highway Patrol officers in Los Angeles County had their police powers suspended after investigators found that they received at least $360,000 in fraudulent overtime pay between 2016 and 2018, officials said. "This information has shaken us to our core," the head of the agency's southern division said. 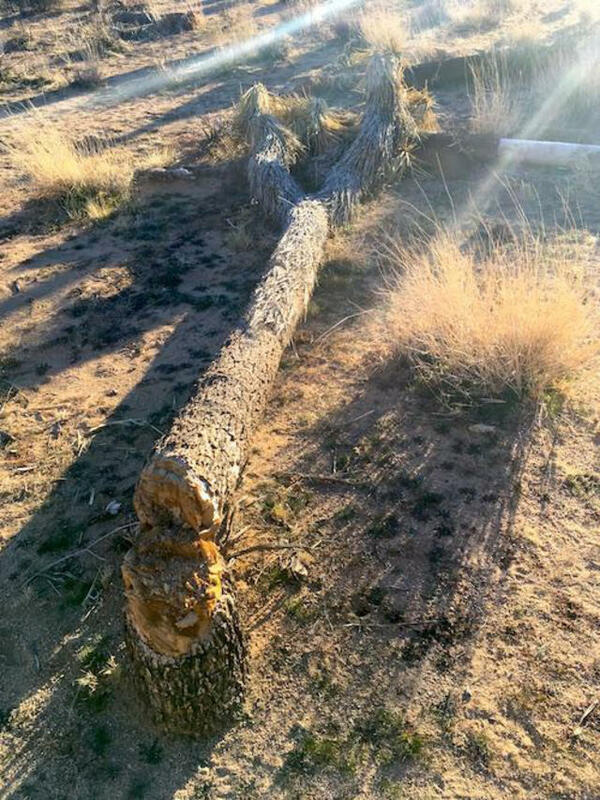 Officials said this downed Joshua Tree was actually cut down prior to the government shutdown. Curbed put together a great photographic tour of 12 buildings and public spaces around Los Angeles that have endured for generations. 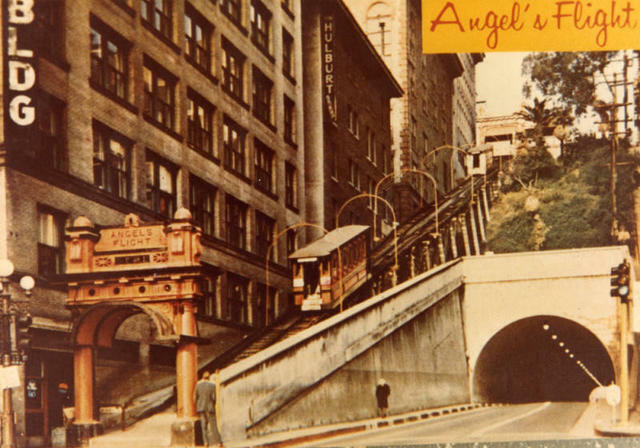 It includes Angels Flight, the funicular railway on a steep slope in downtown Los Angeles. Built in 1901, the "magic chariot" ferried millions of passengers before going idle amid encroaching development and neglect. Service resumed in 2017 in a fit of nostalgia.